We've never been so eager to hear Pikachu speak in our lives! 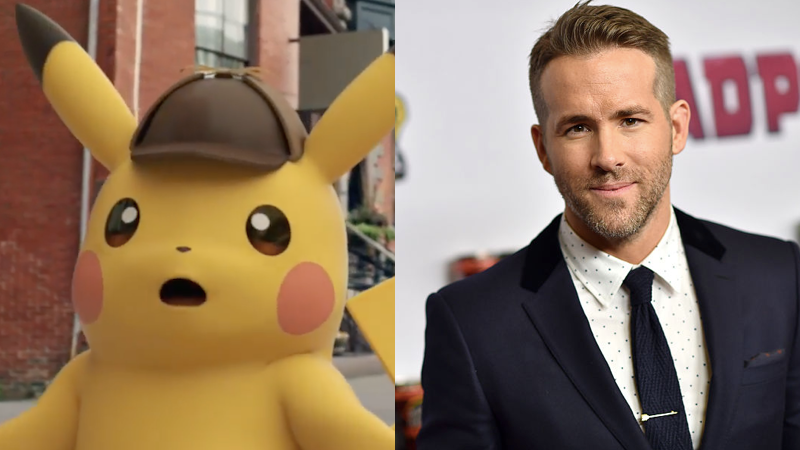 Deadpool leading man Ryan Reynolds has signed on to voice the famed Pokémon mascot in Legendary's live-action Detective Pikachu film. Reynolds joins Justice Smith, who will be seen in the upcoming Jurassic World: Fallen Kingdom, and Big Little Lies actress Kathryn Newton in the movie, which is being helmed by Goosebumps director Rob Letterman. The project begins shooting in London this January. Detective Pikachu sees the electric Pokémon teaming up with Justice Smith's character after the teen's father is kidnapped. Newton will play a sassy journalist who helps them on their quest. Other then that, specific plot details are being kept under wraps for the time being. Legendary has high hopes for the feature project, especially given the continued popularity of the Pokémon franchise over the last few decades. Since debuting in 1997, the brand has sold over 300-Million video games worldwide, 23.6-Billion TCG cards across 74 countries and has produced an animated series spanning 20 seasons.